Hello and welcome to the radiation therapy review web site! 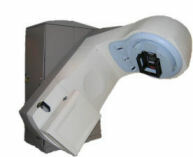 This is a free web site for radiation therapy students and dosimetrists. This site contains free board type questions in the form of brain teasers. These brain teasers also resemble real clinical issues you may face in the radiation therapy field. This site also contains free videos on various radiation therapy topics including some radiation therapy humor. Currently the site is in what I call "maintenance mode". Unfortunately, I simply do not have the time to dedicate to this project anymore. But do not worry! This site will remain available free and to the public for as long as I hold the domain. I have no plans what so ever of shutting rt-review.com down. Too many people have helped me along the way and I made a promise this site would be free and available to students for as long as I was in charge of this project! Although I will not add new content to this site, I will update any errors people run across. So please email me if you see any errors. Copyright © 2004 - 2017. All rights reserved.